Solar energy is a renewable source of energy as it can be used to produce electricity as long as the sun exists. . We cannot run out of solar energy, unlike some of the other sources of energy Sunshine occurs naturally. It can be harnessed in all areas of the world and is available every day.As long as we are alive, we are always going to see the sun, which means it is infinite. Another advantage of using solar energy is that it reduces your electricity bill.One of the most interesting things about solar energy is that it can help you minimize your annoying utility bills. How much you save on your bill will be dependent on the size of the solar system and your electricity or heat usage. You can accomplish this by installing solar panels in your home. Solar energy takes up energy consuming activities like heating water and heating homes. Solar energy has the potential to save you up to 40% of your energy costs, even after financing costs are factored in. One of the advantages of using solar energy is that the cost of maintanance is low.The cost of installing a solar panel can be high. But once it’s up and running, you will enjoy the benefits for many years, while injecting just a small amount for its maintenance. Solar energy systems generally don’t require a lot of maintenance. Most reliable solar panel manufacturers offer 20-25 years warranty. Also, as there are no moving parts, there is no wear and tear. 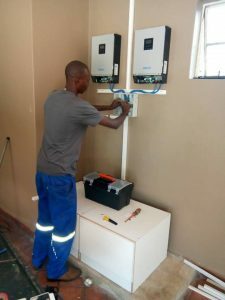 The inverter is usually the only part that needs to changed after five years because it is continuously working to convert solar energy into electricity. Apart from the inverter, the cables also need maintenance to ensure your solar power system runs at maximum efficiency. So, after covering the initial cost of the solar system, you can expect very little spending on maintenance and repair work. Solar energy is eco-friendly which is an advantage of using solar energy.If you are scavenging the internet in search of ways to minimize your carbon footprints, solar energy is the surefire answer. Solar energy will not only help you dial back on your carbon footprint, but also oversize your systems to ensure you live in a carbon-free house.Solar energy is an alternative for fossil fuels as it is non-polluting, clean, reliable and renewable source of energy. It does not pollute the air by releasing harmful gases like carbon dioxide, nitrogen oxide or sulphur oxide. So, the risk of damage to the environment is reduced. Solar energy also does not require any fuel to produce electricity and thus avoids the problem of transportation of fuel or storage of radioactive waste. One of the advantages of using solar energy is that it is easy to setup.Solar panels are easy to install and does not require any wires, cords or power sources. Unlike wind and geothermal power stations which require them to be tied with drilling machines, solar panels does not require them and can be installed on the rooftops which means no new space is needed and each home or business user can generate their own electricity. Moreover, they can be installed in distributed fashion which means no large scale installations are needed. 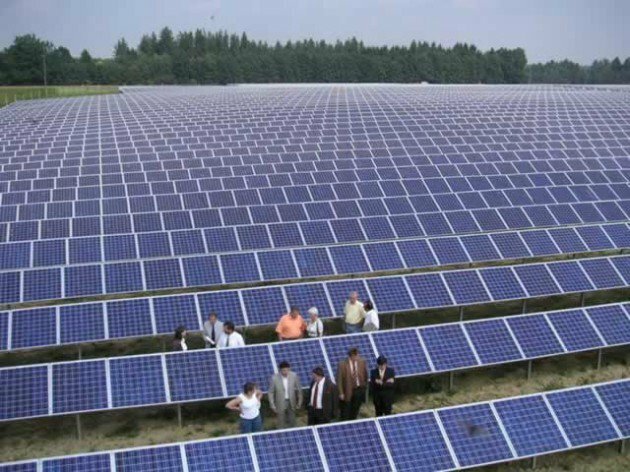 With the advancement in the technology and increase in the production, the cost of solar panels have come down slightly. Areas where cost of electricity is high, payback times can be even lower. Another the advantages of using solar energy is that it can be installed anywhere.Solar energy can be of great boon in areas which have no access to power cables. It works great in remote locations where running power lines would be difficult or costly. Solar panels can set up to produce solar energy there as long as it receives the sunlight.. Solar cells make no noise at all and there are no moving parts in solar cells which makes them long lasting and require very little maintenance. Solar energy provides cost effective solutions to energy problems where there is no electricity at all. Half of the energy produced around the world today is used to operate pumps. The Solar-Pump-Inverter is able to directly convert solar power to AC power for use with your existing pump. Compared to using ZESA or your generator, the 3-phase in, 3-phase out solar pump inverter is environmentally friendly with a long lifetime and lower maintenance costs solar water pump inverter is environmentally friendly, with a long lifetime and low maintenance costs. It is independent of the grid and produces no pollution or noise. Typical applications are irrigation, community water supply, and domestic use. 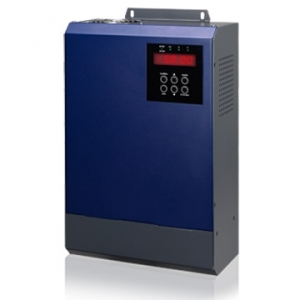 The solar pump inverter has many solar-specific and pump control functions, such as built-in maximum power point tracking and dry run protection. The maximum power point tracking (MPPT) ensures you to get the best output power possible from your solar panel and it maximizes the performance of your pump throughout a sunny day as it starts and stops automatically based on the intensity of solar radiation. 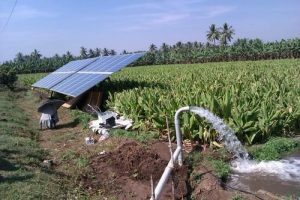 This system allows you to convert any AC pump so long as you know the size (in HP) to be run directly on solar energy. Making for a more robust all round system. You have probably heard about how solar energy can reduce your electricity bills,but how much do solar panels really cost in Zimbabwe?They now cost less than seventy cents per watt can you believe it?Generating your own electricity means that you will be using less from ZESA . This will immediately translate to savings on your energy bill. The more energy you produce, the less you will need from the supplier which will increase your energy self reliance. As long as there is sunshine, solar energy can be deployed anywhere. This is particularly useful for remote regions with no access to any other source of electricity. There is a vast amount of people around the world with no access to electricity. Independent solar systems could be deployed in those regions and improve the lives of millions of people. Moreover, solar energy is also used to power up all the home appliances. You will not miss your favorite television channels anymore if you invest in solar energy. The grid is less vulnerable to blackouts if there are many power plants which are spread out. A grid with high penetration of solar energy has thousands of energy production centers which are widely spread out. This improves the security of the grid in case of overload, natural or human-caused disasters. Batteries provide a simple solution for harnessing the power of your solar panels. You can purchase batteries with standard 12V for powering electronics and small appliances.You may also install an inverter, which converts the DC current to AC. With a large enough solar array, you should then be able to power just about any appliance in your home. You can expect to trim a significant portion of your energy bill, depending on the size of your solar panel array. The average household uses about 900 kWh per month. The utility rates can vary, though, the average in the Zimbabwe is about $0.1 kWh. This comes out to about $100 per month for standard electrical use. Start cutting down on your energy consumption. Do your part to limit your carbon footprint. Discover the joy of solar systems installation. 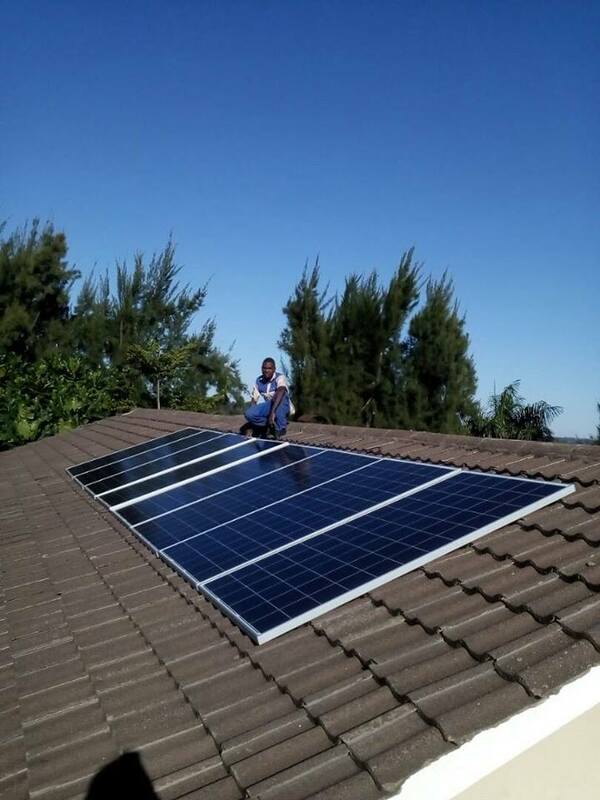 Contact the professionals today, for solar panels installation in Zimbabwe. Zimbabwe might experience massive load-shedding starting next week if Zesa Holdings fails to settle an outstanding power import bill of $43 million owed to Eskom of South Africa and Hydro Cahora Bassa (HCB) of Mozambique. Eskom supplies Zimbabwe with 300 megawatts, while HCB chips in with 50 megawatts. The South African power utility has threatened to switch off Zimbabwe if Zesa fails to pay the arrears in eight days. Zimbabwe consumes about 1 400MW daily against a generating capacity of around 980MW. Zesa owes the two power giants over $100 million, but the $43 million is emanating from a payment plan it has failed to honour due to foreign currency shortages. Earlier this year, Zesa made payment plans with regional power utilities and should have paid $89 million between January and April, but it managed to pay only $46 million. The payment plan included last year’s arrears. The firms gave Zesa up to May 31 to clear the arrears, but with only eight days to go, the power utility has not paid anything. Zesa chief executive Engineer Josh Chifamba yesterday confirmed they were still to settle the arrears. “We are yet to service the debt, but we are making frantic efforts to pay and revert to the original payment plan,” he said. Zimbabwe has been enjoying steady power supplies for the past 16 months owing to various initiatives, which included imports. Major creditors are Eskom, which is overally owed $80 million and Hydro Cahora Bassa of Mozambique ($40 million). It is understood that HCB officials will be in the country tomorrow “to see how far Zimbabwe has gone towards raising the money it owes them”. Eskom interim group chief executive Mr Matshela Koko recently wrote to Eng Chifamba indicating that supplies would be cut with effect from June 1. “The balance as at end of March 2017 according to the plan, should have been R484 721 980, but the actual balance was R603 176 479, leaving a shortfall of approximately R118 454 499,” Mr Koko said. “I refer to your finance director’s request to our Mr Segomoco Scheppers requesting further accommodation by Eskom by allowing Eskom’s remedial action as provided for to be delayed to end May 2017. “Eskom do hereby confirms acceptance of this request and requires that; the current outstanding debt should not increase and Zesa shall take all steps necessary to ensure the outstanding balance as at 14 April, 2017 is maintained or preferably reduced, Zesa will restore the repayment plan by ensuring that as at end May 2017, the outstanding balance, including all subsequent invoices will be R491 416 426 or less. To back up power imports, Government recently issued an R500 million ($35 million) guarantee to Eskom and it is that surety that the latter is threatening to call up. Industrialists and miners yesterday implored monetary authorities to prioritise power provision, saying any cut on supplies would affect industry and winter wheat cropping. An official from the Confederation of Zimbabwe Industries (CZI) added: “Respective authorities have to move with speed to ensure the money is availed otherwise we don’t want to move one step forward and two steps backwards. 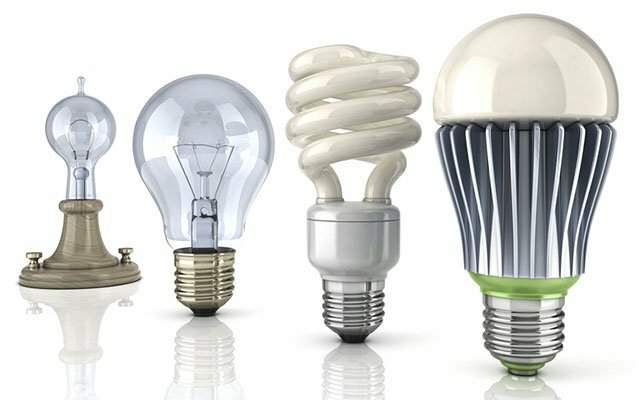 A NEW law banning the sale of power-guzzling light bulbs takes effect today (May 1), as energy regulator, ZERA, seeks to pivot the economy away from energy inefficient lighting systems at a time climate change is escalating. The law prevents the familiar incandescent light bulb, and other high energy consuming products such as fluorescent tubes, from being sold, made or imported into Zimbabwe, ZERA says. Traders had three months to clear out inventory of inefficient lighting before the ban, announced in January, took effect. From today, retailers and wholesalers who continue to stock the old-style bulbs, or consulting engineers that recommend inefficient lighting, will be liable to a fine or face six months in jail. This is no fluke, the regulator warns. “On the date the regulations come into effect it will be illegal to sell or offer for sale inefficient lighting products,” Misheck Siyakatshana, ZERA’s technical director said, by email. “So the offence is in the selling or offering for sale of these products,” he said, as ZERA expects the transition to low-energy bulbs to be complete by year-end. Zimbabweans have slowly stepped up their purchase of alternative energy-saving lights like compact fluorescents (CFLs) and light-emitting diode (LEDs) since power utility Zesa Holdings rolled out a $12 million campaign in 2011 handing out millions of efficient bulbs. But the newer lights cost more, nonetheless, at least the upfront cost – $2 and $3,50 each for CFL and LED, respectively, but both use much lower power and last almost 10 times as long as the incandescent that costs 50 cents, on the average, experts say. Now, by banning conventional lighting, ZERA is looking at more effective ways of boosting energy efficiency in households, schools and businesses. Chief executive, Gloria Magombo, has said the change-over to low-energy lights could achieve between 30 to 40 megawatts in savings. There is more. Combined with Zesa Holdings’ prepaid metering programme, the switch could also have a dramatic impact on Zimbabwe’s climate change goals, preventing the equivalent of 1 300 gigatonnes of carbon dioxide emissions over the next 13 years, according to the Government’s plan under the Paris Agreement. Zimbabwe aims to cut emissions by 33 percent overall, or 17 300 gigatonnes, by 2030. This is to be achieved mostly by increased investment in hydro and solar power, as well as improved efficiency in household and commercial energy use, the plan says. “Using less energy means less burning of coal and other fossil fuels, thus reducing (Zimbabwe’s) carbon footprint,” said Eng Magombo via email. Can manufacturers pull it off? Sales of traditional bulbs have been slowly dying out over the last few years, said Confederation of Zimbabwe Retailers president Denford Mutashu, as alternatives have come to market and people warm to the idea of more efficient lighting. But he is concerned whether domestic manufacturers were up to the task. “As much as we support initiatives that conserve energy, we are still want to ascertain the capacity of the manufacturers of lighting products, whether they will be equal to the task, to feed national demand,” Mr Mutashu lamented, by phone. But the backlash from the manufacturers was even stronger, even though admitting production of efficient lighting products could be slow in the first few months post-the ban. “This (the concern on shortage of low-energy bulbs) is an unresearched view,” Busisa Moyo, who heads the Confederation of Zimbabwe Industries, told The Herald Business, by phone. Getting consumers to switch-over to a higher priced product even though it lasts longer is like selling ice to Eskimos. Already, some consumers didn’t like the look of early CFLs and LEDs – which tended to give off a dim white light – but both now come in a range of hues, from yellowish warm to cooler bluish. So, ZERA has found a clever way of getting round this problem: it is now selling the more efficient bulbs as an environmentally-friendly technology that is not only worth its price, but also saves energy. The energy regulator has been running campaigns on TV and in the Press promoting this idea to the public. It could work. ZIMBABWE has received massive endorsement as a prime destination for solar power projects after Chinese firm, Shanghai Electric Power Design Institute, completed a bankable feasibility study that okayed the Gwanda Solar plant. SEPD, unit of multi-trillion dollar Chinese electrical engineering giant, Power China, completed the first ever solar project feasibility study in December last year in a development that will unlock funding for the $175 million Gwanda project. China Eximbank has since approved the feasibility study report and requested to meet project contractors to discuss the next step entailing a multi-million dollar financing facility for the project. Tenderer, Zimbabwe Power Company, has already commissioned the bankable feasibility study, which dispels decades-long unfounded skepticism about feasibility and viability of solar power projects in the country. Among its objectives, the feasibility study was meant to study the design and optimisation scheme for photovoltaic power station system, including selecting and mounting photovoltaic modules, analysing the generating capacity of photovoltaic system and main electrical wiring for the solar plant. Local private firm, Intratrek Zimbabwe in partnership with China’s and the world’s largest manufacturer and seller of low-voltage electrical products, ChiNT Electric Co, are in the process of building a 100-megawatt solar power station in Gwanda. This will be the first such plant in the history of Zimbabwe. The feasibility study, which endorsed the viability and practicality of building solar power plants in Zimbabwe, concluded that there are excellent solar radiation conditions in Gwanda, as recorded at West Nicholson Meteorological Station. Such conditions prevail across most of Zimbabwe meaning there is limitless potential for numerous such initiatives across the country, which China Eximbank says is ready to finance. SEPD calculated that the Gwanda solar project is feasible at a tariff rate of 18c per kilowatt hour, a tariff experts at Zimbabwe Power Company and Zimbabwe Energy Regulatory Authority contend is reasonable and practical, given the urgent need to address Zimbabwe acute power deficit. According to the findings of the study “all the project’s economic indicators conform to relevant stipulations” necessary to have a solid, viable solar power plant in Gwanda. But the critically important issue is that the landmark study has opened up requisite financing from China Eximbank for the Gwanda project and potentially more financing for future projects, after the bank indicated interest to fund similar projects. The Gwanda project will be built at an engineering, procurement and construction cost of $175 million. “Following our approval of the feasibility study report, we propose a face-to-face meeting, so as to negotiate the next step financing plan,” said China Eximbank in a letter to both Intratrek Zimbabwe and its Chinese partner, ChiNT Electric. This development comes as huge relief to millions of Zimbabweans, industry and commerce who have borne the brunt of acute power shortage in a country where demand peaks at 2 200MW while available capacity hovers around 1 300MW. Contracted to Intratrek and its Shanghai Stock Exchange-listed partner, ChiNT Electric Co, the Gwanda solar farm project is expected to create hundreds of jobs during construction while local service providers will benefit from lucrative sub-contracts. The Gwanda solar project, which has progressed at frenetic pace since the tender was awarded by the State Procurement Board, is the first major non-hydro, renewable power plant in Zimbabwe. Among the solar energy’s “Green attributes” compared to thermal are reduction of harmful emissions namely carbon dioxide (157 tonnes) sulphur oxide (500 tonnes) and nitrogen dioxide (500 tonnes). Other two solar projects awarded by SPB to ZTE Corporation and 17 Metallurgical China, Muntai and Insukamini, are still to provide preliminary feasibility study reports. The 154-page proposal dated December 2015, falling within the submission of stipulated contract period, quotes extensively from country’s blue-print, Zimbabwe Agenda for Sustainable Socio-economic Transformation 2014-2018. Power China, whose unit undertook the Gwanda bankable feasibility study, has a $70 billion asset base and boasts world-leading engineering, procurement and construction company services in the development of hydropower, water works, thermal power, new energy, and transmission and distribution projects, adding to achievements in the fields of infrastructure, equipment manufacturing, real estate and investment.